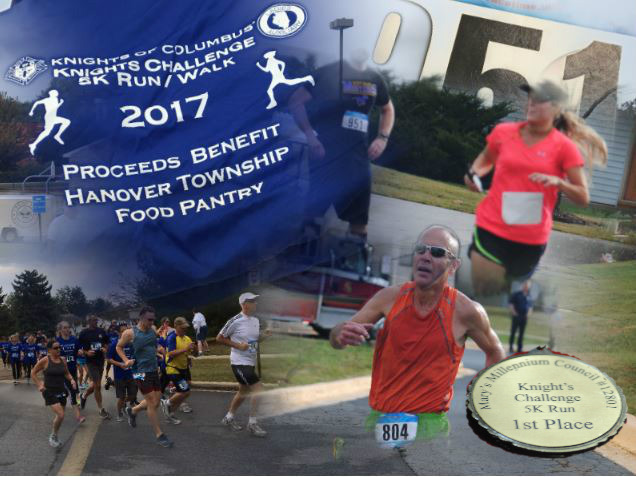 On October 7th we held our fourth annual Knights Challenge 5K Race and 1M Walk to benefit the Hanover Township Food Pantry. 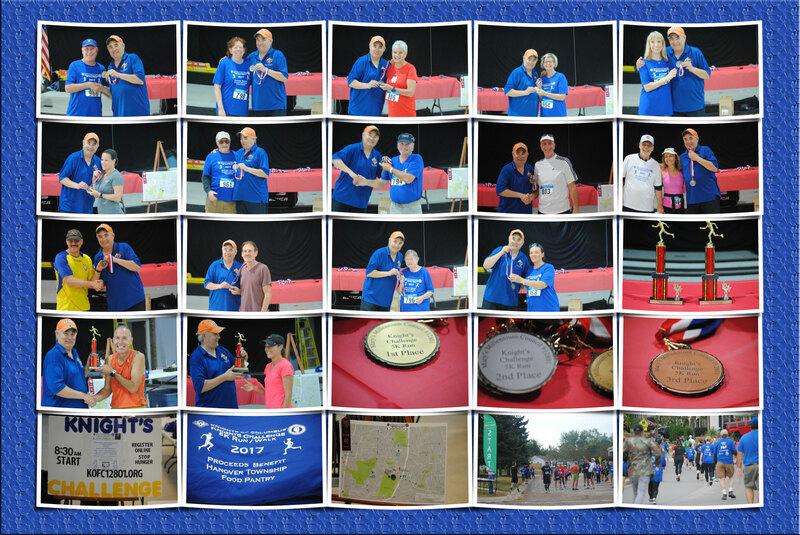 We had several participants sign up that morning, despite the cool temperatures and overcast skies. This was our best event yet. Since the weather didn’t cooperate, it was gratifying to see so many people turn out to help us support this worthwhile cause. 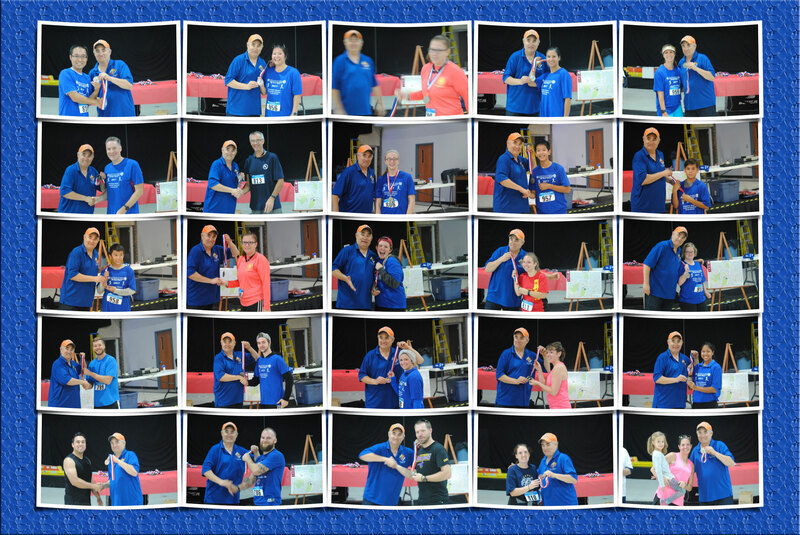 Thank you to all that helped make this event a success. 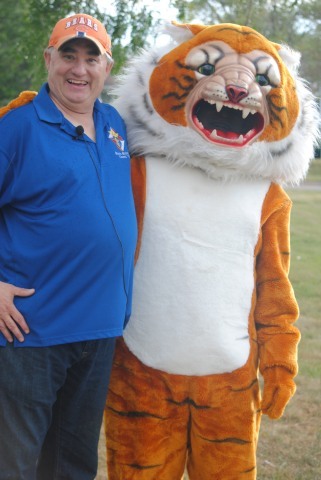 With the race underway, Bill Henderson, Race Director, paused for a picture with St. John’s School mascot, who was on hand to cheer on the children participating in our first Kids Fun Dash event. Jim Kaltinger, who passed on his Race Director hat to Bill, had approached Mary’s Millennium Council in 2013 with his idea about conducting a 5K race. As an avid runner, he knew something about what was involved, but that challenge didn’t stop him from suggesting we sponsor an event. The council approved the idea overwhelmingly and we embarked on a journey which culminated in October 2014 with a successful event. Father Ted, our deceased Pastor, had been a huge supporter of the Knights and our vision to sponsor this race. We are certain that the sun’s rays that poked through the clouds was him smiling down in approval as we continued this tradition once again this year. Brother Knight Dan Klein was the first male runner to cross the finish line at 20:45.6. Colleen Clesen, from St. Charles, was the first female to cross the finish line at 24:40.2. Congratulations to both of them for winning the overall trophies. 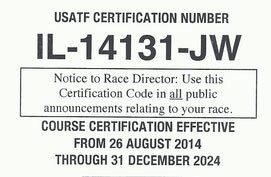 Racetime will post official results on our registration page. If you can’t wait until that happens, just email us with your name and/or bib number and we’ll send you your results. There are so many people to thank in conjunction with the event. If we have omitted anyone, please forgive us since we all headed home for some well-deserved rest we might not have the complete list. We sincerely appreciated your support. 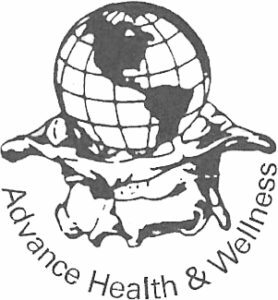 Our Silver level sponsors are Hanover Township, Thomas Smogolski, Assessor, Brian P. McGuire, Supervisor and Advance Health and Wellness. Our Bronze level sponsors are Countryside Funeral Home & Crematory, Larry Szmurlo FIC, FICF, and State Representative Fred Crespo. 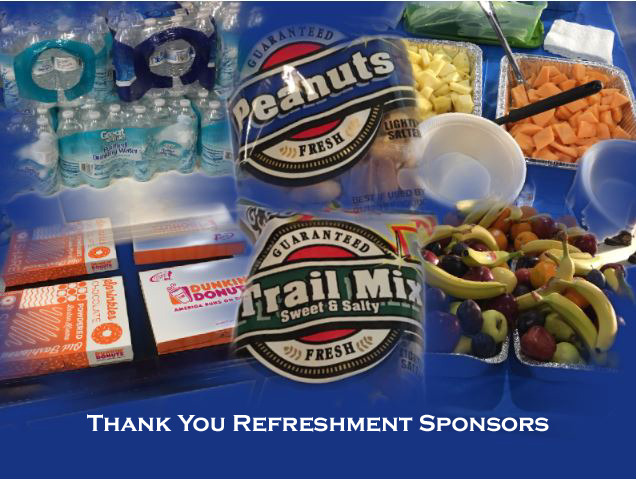 Our additional sponsors, who provided food, beverages and other items for race day are Dunkin’ Donuts Hoffman Estates Locations (2716 N. Sutton Road and 1165 N. Barrington Road), Valli Produce Hoffman Estates, Terri Lynn Inc. Elgin, Mariano’s Hoffman Estates, Pure Hockey (formerly Total Hockey) provided bags, Brother Knight Dan Zych provided bottled water, Brother Knight Rich Zych provided apples, Moretti’s provided 35 free pizza coupons, Tap House Grill provided 25 free appetizer coupons, Buffalo Wild Wings Hoffman Estates provided gift card, and Sams Club provided gift card (fruit bars & paper cups). Thank You to Father Gregg Gorczyca, Streamwood Fire and Police Department, Hanover Township, Brother Knights & Ladies, St. John’s Crush teens, St. John’s This Man is You, and Race Time for helping make this event a success. Keeping Participants Safe: Hanover Township Volunteers – Bill Burke, Chris Crane, Joe McKeown, Alicia Fachet, Shady Harraz, and Mike Landt; Streamwood Police Officers – Shawn Tayler, Steve Sachen, Tim Breslin, Bill Husfield, and SooYong Youn; Streamwood Fire Department Paramedics – Lisa Hanley and Matt Wenc. Thank you for your service.